Read MoreEaster and Anzac Day Hours – Yes We Are Open! Easter- the holiday that is practically dedicated to baskets filled with loads of sugar. 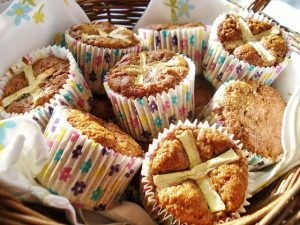 While it is always nice to enjoy a sweet treat every now and then, it is important to remember that processed sugary foods, such as your Easter eggs and hot cross buns, should be best avoided. We don’t want you to sabotage your healing process by eating too many sweet treats and therefore encouraging inflammation, so we would like to recommend some healthier options that are easy to make (with chocolate included of course!). The Spinal Centre congratulates all patients who were coaching, competing or involved in The National Rowing Championships. 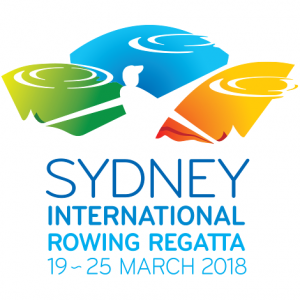 In particular, athletes who competed in the Victorian teams for the Kings Cup – elite rowing for men, and Queens Cup – elite rowing for women on the final day. It was a tough competition, with all the top teams from around Australia gathering to compete. Indeed, this is a busy time for the rowing season and there have been a number of regatta, culminating in the Kings Cup. Did You Know That You May Be Entitled To a Government Rebate for some of Your Consultations With Our Exercise Physiologist? Read MoreRowing: Capital Punishment or Sport? Is Your Child’s School Bag Fitted Correctly? Avoid Spinal Damage In Your Kids with a FREE CHECK. With the School Year Upon Us It Is Time To Consider Your Child’s Spinal Health. 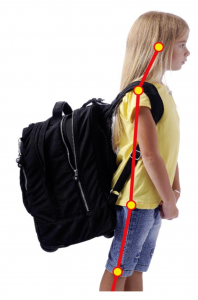 A recent study of 340 school children conducted by the by the Chiropractors’ Association of Australia found that 90 per cent of school children have bad posture when carrying their bags and could experience spinal damage as a result. Incorrectly fitted bags can cause your child to develop spinal misalignments that will affect them as they enter adulthood. School can be a challenging time for children, so ensuring they are as comfortable as possible is vital for both their physical and mental development. Mr. F. is a 28 year old male garden worker who attended the Practice with what we call ‘American Posture’. This is a real patient within the Clinic, with untouched photographs. And yes, he was only 26 when he started care. 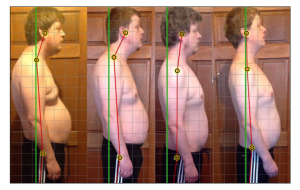 He was suffering with chronic low back pain (CLBP). He had been enduring spinal pain for 10 years and things were getting progressively worse. In terms of postural distortion; Mr. F. had what we affectionally call an ‘American Posture’. American Posture is a very common structural disturbance we see in a clinic. And as the name suggests it is very common postural problem within America. American posture can come in different shapes and sizes. It is a driver of many lower back and neck conditions. As well chronic pain and disability. 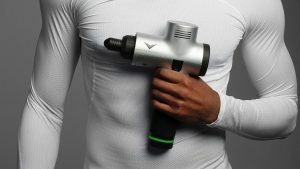 Read MoreThe Theragun – Power Drill or Your New Best Friend?